Our purpose built mobility workshop and service centre is located within the grounds of the Centre for Independent Living in Beaufort Street, Warrington. It was initially built to provide a service centre for our fleet of loan equipment at Shopmobility and our Wheelchair Loan Service. The workshop was extended in 2012 and now offers a full range of services to external customers who own powered and manual wheelchairs, mobiity scooters and other mobility aids. We have secured maintenance contracts with businesses such as nursing residential homes, the NHS and Shopmobility services. We also accept any donations of mobility equipment for our recycling scheme. 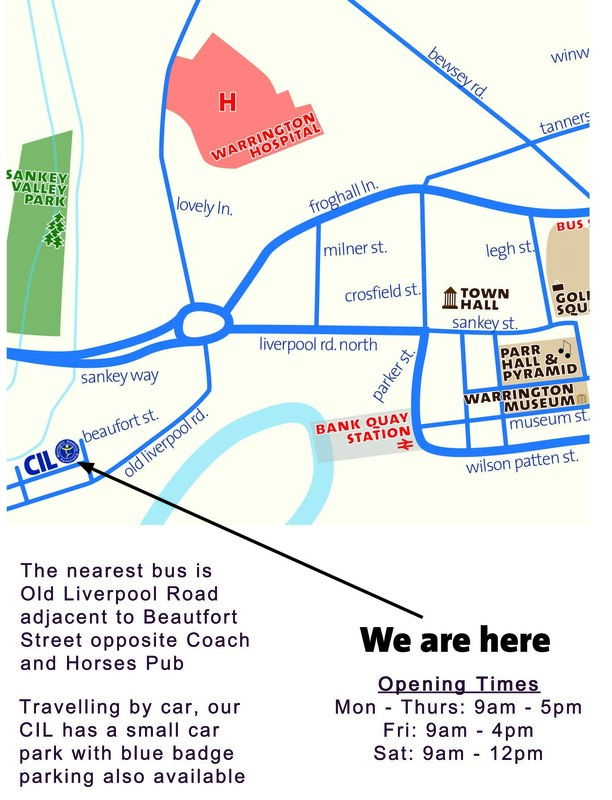 The workshop is located at the side of our Centre for Independent Living in Beaufort Street (Off Liverpool Road), Warrington WA5 1BA. You can download a map of our location.Opening hours are between 9am to 5pm Monday to Thursday and 9am to 4pm Friday.